The River Road Ranch is unique in its offering. Located in the far eastern part of Austin County this property is but a very short commute to the Katy area and the Energy Corridor. This property consists of 10.502 rolling, wooded acres with a three-story home found at the very end of a county road within a restricted subdivision. 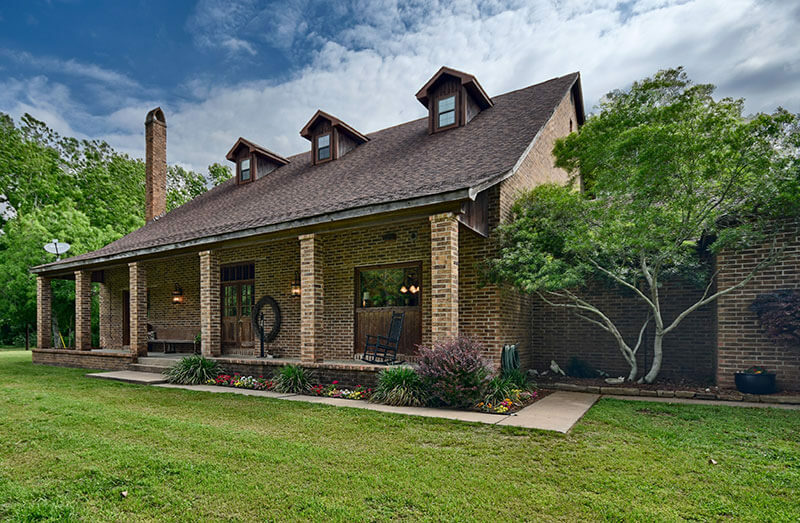 The home built on the high bank of the Brazos River offers one beautiful views of the rivers mesmerizing rapids from the homes generous porches.